Home Fire Stove is a leading provider of quality fireplace products. The business started in 1979, mostly selling wood stoves & inserts. In the early 1980’s the company started marketing into the new construction market, and in the mid-1980’s added pellet and gas fuel options. We are a locally owned business that currently employs 17 men and women. Our strengths include a wide range of high quality products, a nice retail store with over eighty products on display, expert sales, installation and service, and competitive pricing. We don’t cut any corners with our employees, products or services. We are properly registered with the Construction Contractors Board with the necessary insurance and bond. Our Worker’s Compensation insurance is with SAIF and we are active in employee safety programs. We use proper vehicles and tools on the job. We belong to the Marion Polk Building Industry Association (former officer and board member), Chamber of Commerce, SEDCOR, state and national trade associations, and Salem Rotary. We got serious about outdoor cooking in 2012 setting up Grill City our store within a store, featuring gas, charcoal and pellet grills, and all of the things that go with outdoor cooking. Home Fire Stove Shoppe was started by Ron Post in 1979. After just months, he sold the business to Ralph Stanley and went on to found Northwest Medical Teams. Tim Nissen started Willamette Woodstoves in the summer of 1983, purchased Home Fire Stove Shoppe from Ralph Stanley in the summer of 1987, and merged the two businesses together under the name Home Fire Stove, the DBA for Willamette Woodstoves, Inc. Along with the local economy the company has had it's ups and downs over the years, peaking in 1999 due to concerns about Y2K, and again in 2006 as new construction peaked. We survived the Great Recession and recent years have been more prosperous. The company had a number of small storefronts in both north and south Salem until 1988 when we found our current building at the corner of Market and 17th, NE. This has been a great location and we are always remodeling as our products continuously evolve. We have over eighty stoves, inserts and fireplaces on display, including thirty burn models. We have tried to make all of our displays examples of what we can do in-house by way of complete installations. A part of our showroom evolves with the seasons. In the fall and winter the emphasis is on hearth. In the spring and summer we put more grill options on display. All of our products need regular maintenance and service to perform at their best over time. This is particularly true of gas and pellet fueled appliances. We have a full service department with three trained technicians, and we have in stock or available any parts you are likely to need. Purchasing a stove, insert or fireplace can be complicated. There are many choices, code requirements, sizing, insurance, permit and other issues. 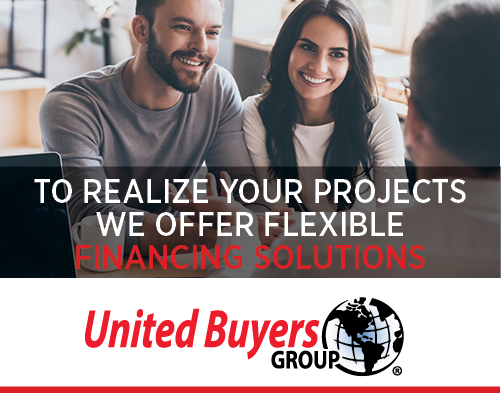 Our goal is to make the process easier and to control a many of the variables as we can, via experienced sales, installation and service professionals. We know this business. Our primary business is hearth products, with a secondary emphasis on grills. Our products can be segmented based on appliance type, fuel burned, size, style, and price-point. We also see our retail business as being differentiated from our new home business. We sell, install and service wood, pellet, gas & electric stoves, inserts and fireplaces. This will often include chimney systems, hearths, surrounds, mantels, operating accessories and maintenance items. Styles range from very traditional to ultra contemporary. Much of what we sell is designed to provide cost effective heat. We also sell fireplace furnishings, glass doors, screens, decorative gas logs, and related, for open hearth decorative type fireplaces. Our grills include natural gas, propane, charcoal and pellet fueled models, both carts and built-ins. Fireplace Xtrordinair, Valor, Lopi, Avalon, Jotul, Heat & Glo, Hearthstone. Portland Willamette, Design Specialties, Pilgrim, Hargrove, Dagan, Minuteman, Weber, Green Mountain, Pacific Gas Specialties, Big Green Egg, Twin Eagles, Delta Heat, American Metals.